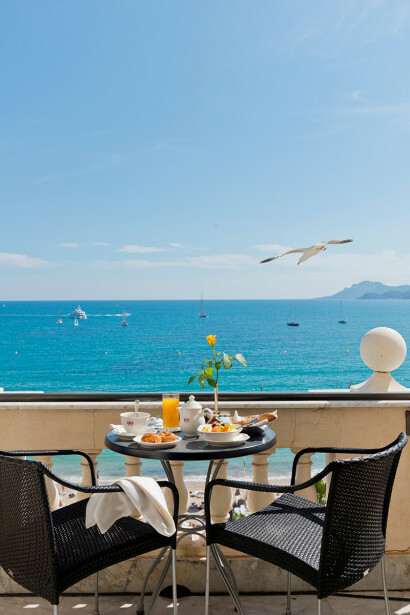 Prestigiously located in the heart of La Croisette, facing the Mediterranean Sea and close to the luxurious and trendy designers’ shops, The InterContinental Carlton Cannes is a perfect place to stay for leisure. A sublime port of call for celebrities from all over the world, the InterContinental itself has evolved as a star. 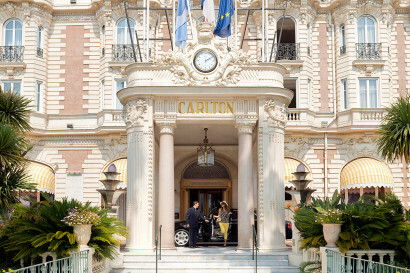 Without Cannes, there would never have been the Carlton. But Without the Carlton, would Cannes be what it is today ? 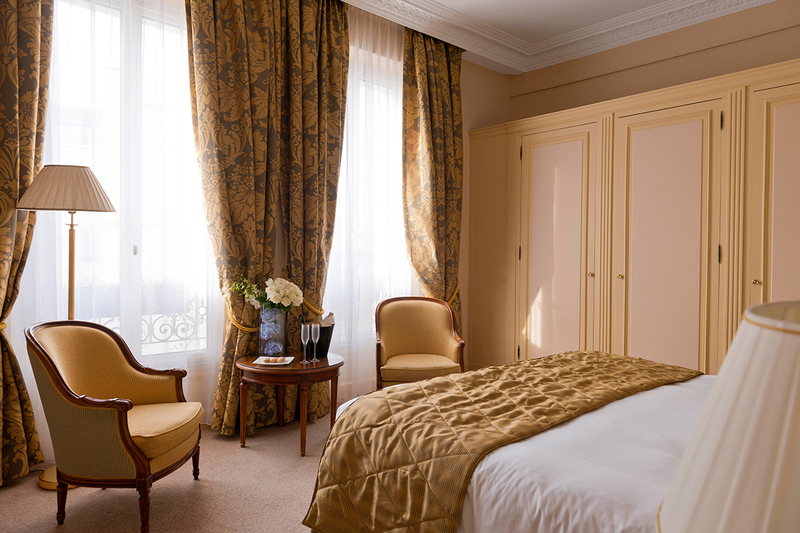 This relationship born more than a century ago, makes the InterContinental Carlton Cannes the Luxury Hotel that most resembles Cannes. 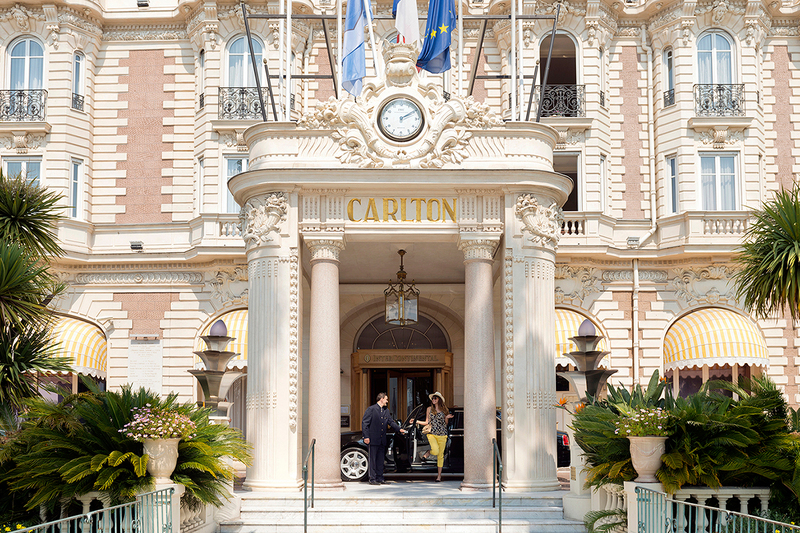 A centennial witness to the true art of travelling, a scrupulous guardian of the most exquisite traditions in the hotel industry, the Carlton epitomizes a life ideal that derives its strength from memories and the Mediterranean. Rediscover a town that you had forgotten. Sea, city, museum, casinos, luxury shops, provencal ambiance. 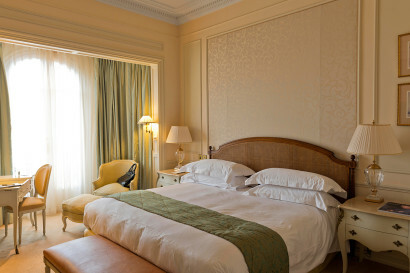 The InterContinental Carlton features 343 rooms, including 39 suites, named after top celebrities, all offering a unique view over the Mediterranean Sea. Ten exceptional suites, from 115 to 380m², are located on the Carlton’s 7th and top floors along with 29 other prestigious suites. Their design was prompted by the hotel’s heritage, playing host to many of Hollywood’s greatest names. 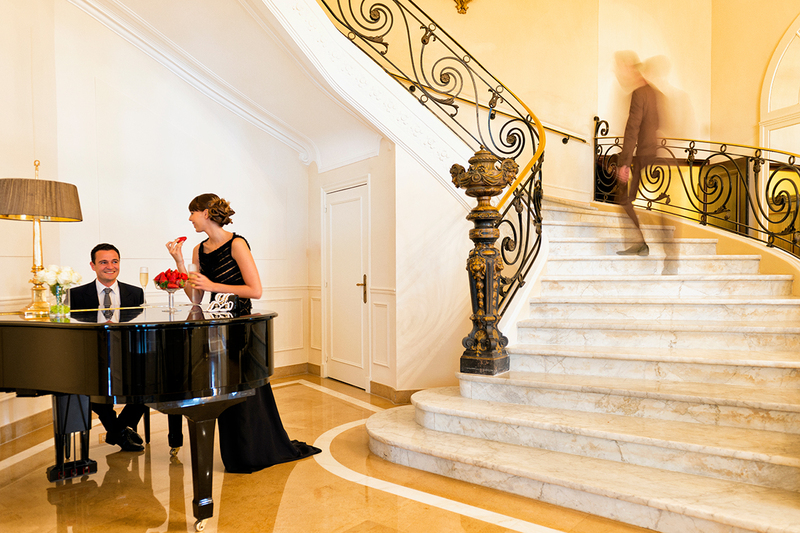 In the heart of Cannes, it is arguably the town’s most prestigious hotel, hosting dignitaries. The InterContinental Carlton Cannes is the only place ‘to be and be seen’. The InterContinental Carlton Cannes has opened a new fitness and beauty centre, with the exceptional Carita, Kanebo and by Terry beauty products. And a large private sandy beach with various water activities. Welcome to the legendary world of stars! 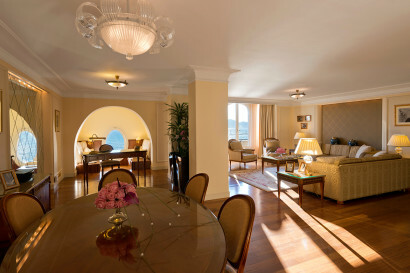 • 9 Prestigious suites located on the 7th floor overlooking the bay of Cannes. Offers privileged assets: a panoramic view of the Mediterranean Sea, refined and local dishes and a traditional and bright environment. The Head Chef Laurent Bunel prepares seasonal dishes in a light, simple way that highlights local ingredients and seasonings. 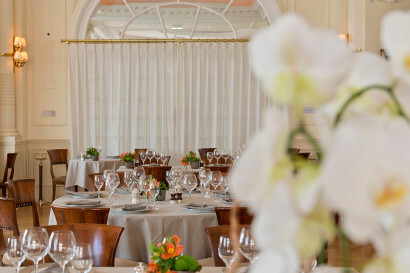 Neo-colonial decor in the dining room and breathtaking sea views on the terrace provide memorable settings for enjoying breakfast, lunch and dinner. Location: In Hotel – On the ground floor, with sea view. Muffled by day, an ideal setting for meetings in town, the Bar at the InterContinental Carlton Cannes undergoes a metamorphosis at the weekend, just like Clark Kent or Henry Jekyll, into a supercharged dance floor, where music, dance and cocktails reinvent a new pleasure. A light-show on Doric Columns, 5 star Deep House music, beautiful people and drink contests, the shock is guaranteed. 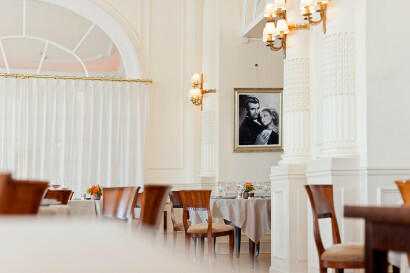 During the major annual events in Cannes, the bar becomes the epicentre of all activity, the theatre of operations, an essential halt for all those who, from near of far, get caught up in the effervescence that takes over the town, when the Carlton became the headquarters of luxury. Even the most successful beach buildings are considered ephemeral. However, the shoreline of Cannes is the exception. The Carlton beach was born with the Hotel, or perhaps it’s the other way round ? 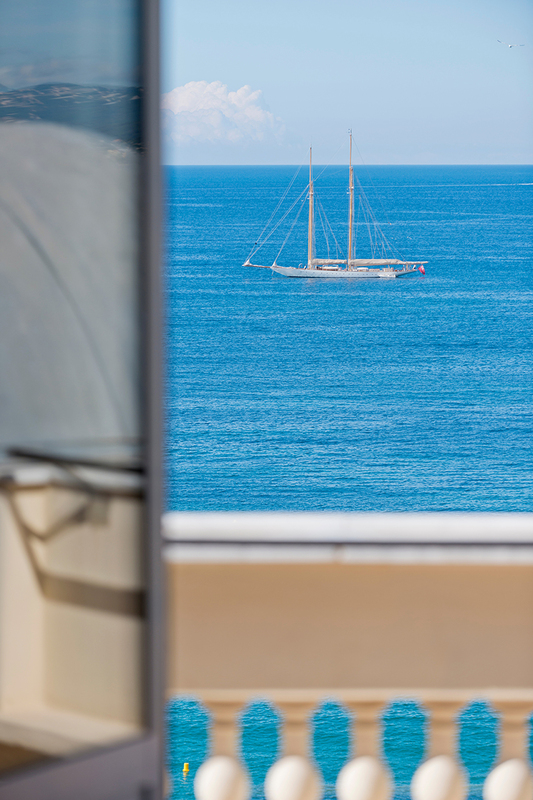 Crystallising a part of the hotel’s memory, it represents an authentic experience of luxury between the azure blue sky and the calm sea. 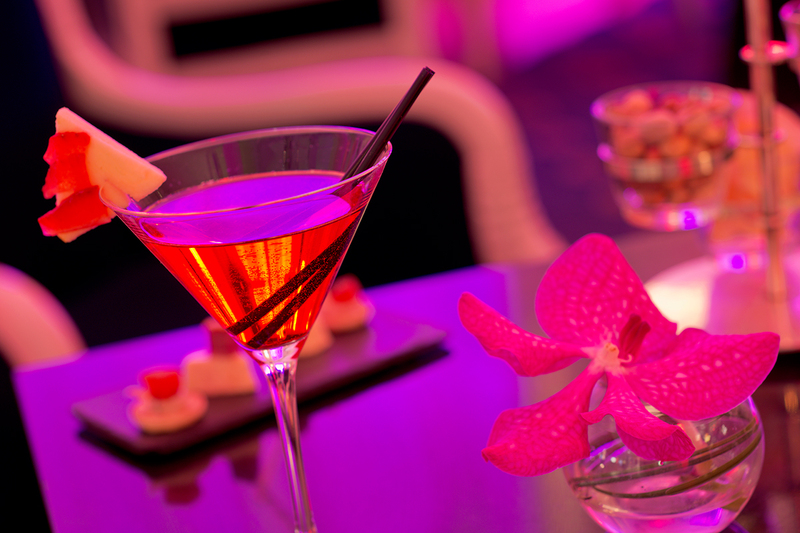 Mouth-watering cuisine, precise, attentive service with a light touch, the only true “sand palace”. To find out what goes on behind the scenes, the expert is Roberto Capponi, Director of the Beach for many years. He is the Carlton Beach. Guests come for him as much as for the setting. It’s impossible to mention the Beach without mentioning its Director, who has seen many a celebrity sunbathing. From April to October private beach, restaurant, bar, pier for water sports. The Carlton is not only known as a port of call for the international film biz, it is also appreciated as a first class venue for efficient business conferences, glamorous product presentations and memorable corporate incentives. Twelve modular rooms are available to cater for anything from a private reception with 10 people to a cocktail party with up to 2000 guests on the Carlton private beach. Event organisers can book the famous Belle Epoque style Grand salon (listed in the historical monuments of France) for up to 350 persons seat down diner. The Carlton team takes care of all the details in an attentive, discreet and professional way. 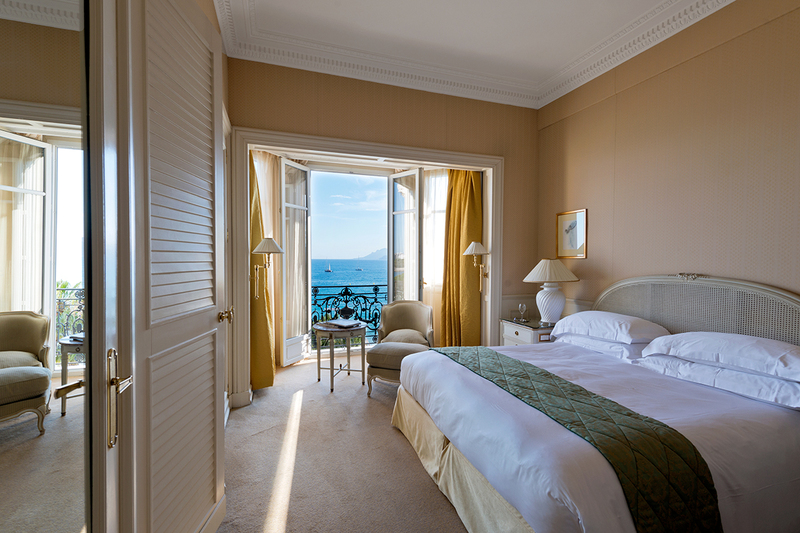 We look forward to welcoming you to Cannes! Because your beauty deserves the very best, a team of professionals is available to tend to you from 10 am to 8 pm in one of the centre’s 4 rooms (3 treatment rooms and 1 hairdressing room).Treatments, massages and make-up sessions are at your disposal, in addition to big-brand products: Carita, by Terry, Acqua di Parma, Kure Bazaar. A coach is available on request.